Jeana Kianvar graduated from Daytona State College with a Bachelor of Applied Science in Supervision and Management with a focus in Hospitality Management and Culinary Arts. Jeana began in the hospitality industry; specifically in the restaurant business, in high school. 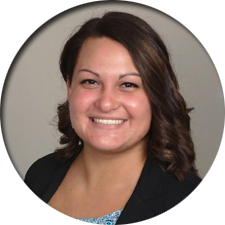 Jeana continued working in the restaurant business through and after college as a bartender and corporate trainer. She is a Certified Food Protection Manager and ServSafe® Manager Instructor and Proctor and is Guest Service Gold certified through the American Hotel & Lodging Association. Jeana joined as Regional Training Manager of Northeast Florida in 2017.